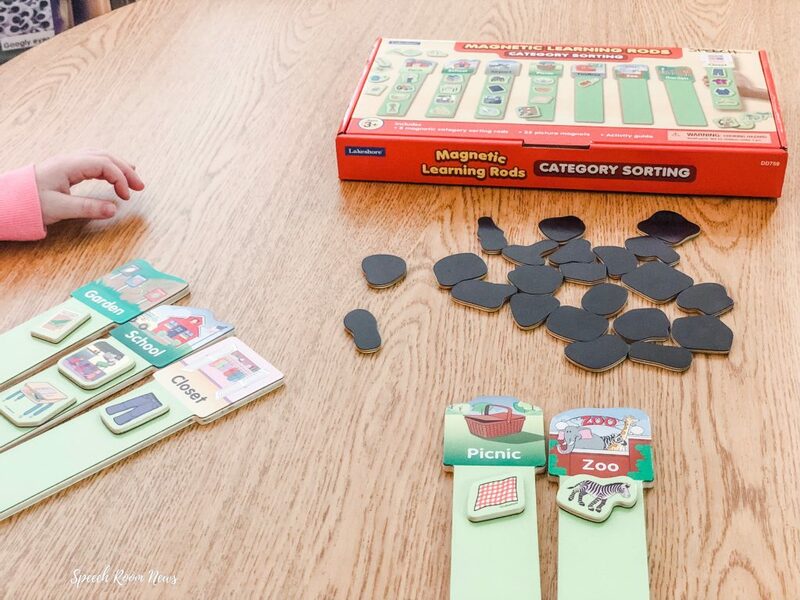 I was using a Lakeshore Learning category sorting box the other day and as my day went on I used it for so many difference skills! I know clinical flexibility is one of the greatest assets of a busy SLP but it is something we don’t share about that often. 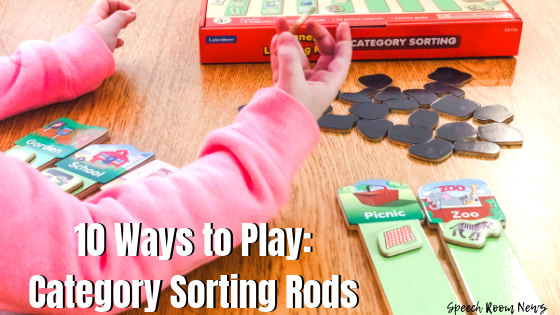 I’m bringing back my 10 Ways to Play post this week for this category sorting set! This set is available for purchase here on the Lakeshore website. 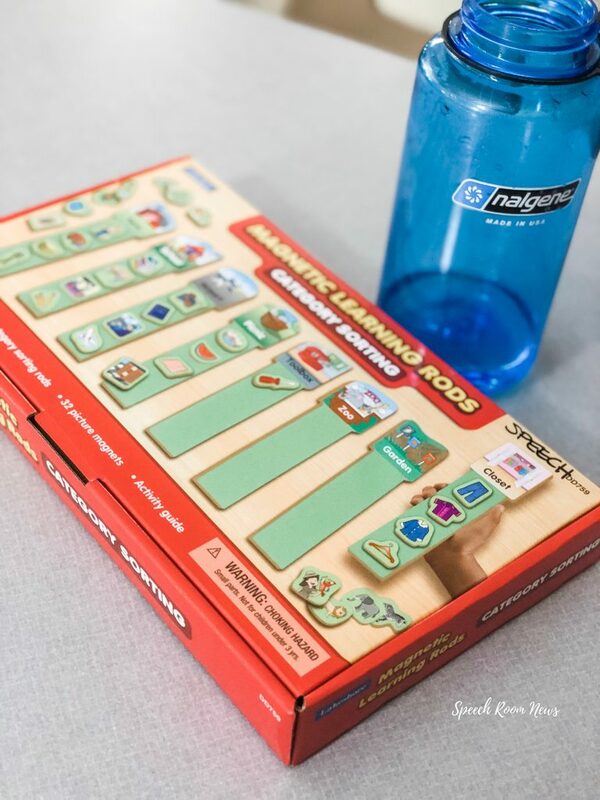 Here are 10 ways to play with this set! 3. 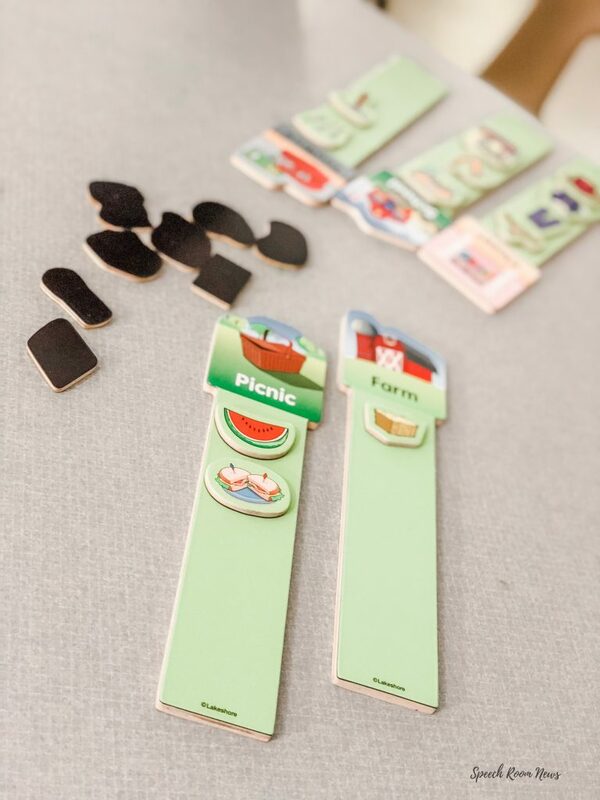 Make it a game and flip all the magnets over. Take turns calling out what you got and try to earn enough pieces to fill up your boards. Work on social skills and turn taking. 4. Add a person (we used a post it) to each category and work on pronouns. 5. AAC core words: I named it and asked who needs the piece. The students worked on saying “I do”. Two important core words! 6. Compare and contrast. We pulled two icons and working on compare/contrast. 7. Describing: Bring some dice and for each item they match, roll the die. Name however many attributes the student rolls. 8. Hide the pieces: For a student at the put in/take out level, I hid the magnets in Easter eggs and he pulled them out of each egg. We worked on joint attention and task completion. 9. Prepositional phrases: For a few of my older preschoolers we worked on adding prepositional phrases to sentences. “in the ___”, “on the ___”, “with the ___”. 10. Inferences: I would describe an item and they would find the magnet and make a match!